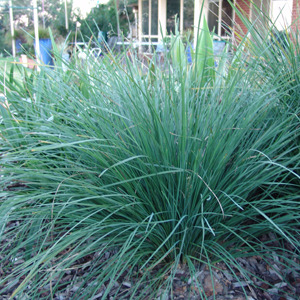 Beautiful clumping perennial similar to Lomandra 'Breeze' but with a blue-green broader leaf and slightly larger plant. Tolerant of hot dry climates although will like extra water if available in the hot dry months. Grows well inland or on the coast and will tolerant salt laden winds. Looks great either mass planted or as a single specimen. Good cut foliage. Excellent container plant. Looks like a Grass Tree - Xanthorrhoea!